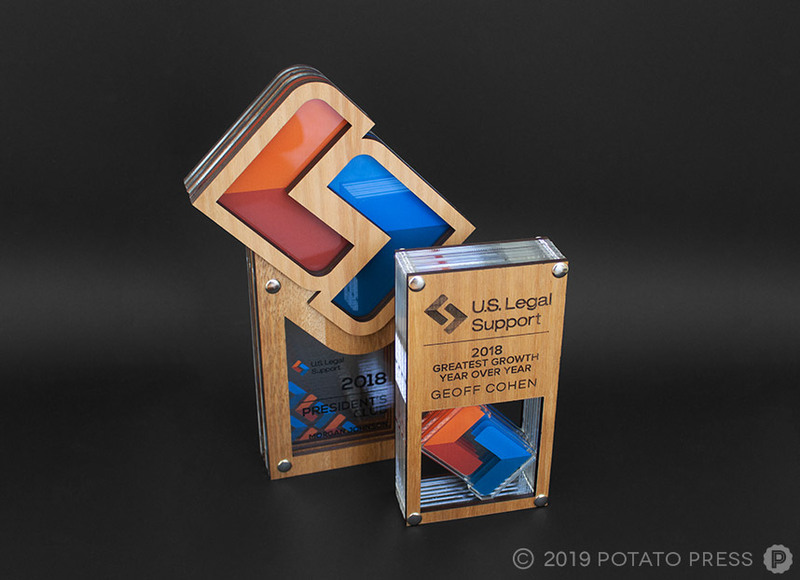 With over 86 offices located across the United States, US Legal Support is regarded as one of the leading providers of litigation services in America. 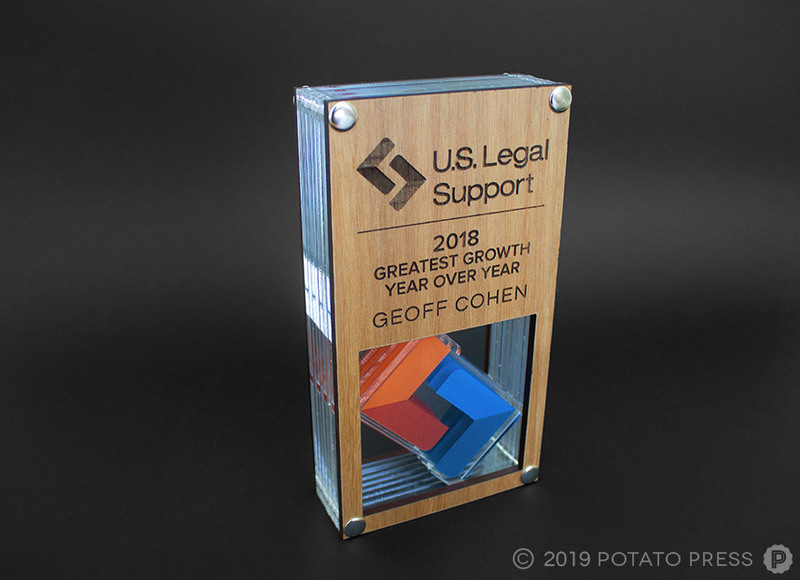 US Legal Support contacted us to create some one-of-a-kind trophies for their company again this year. 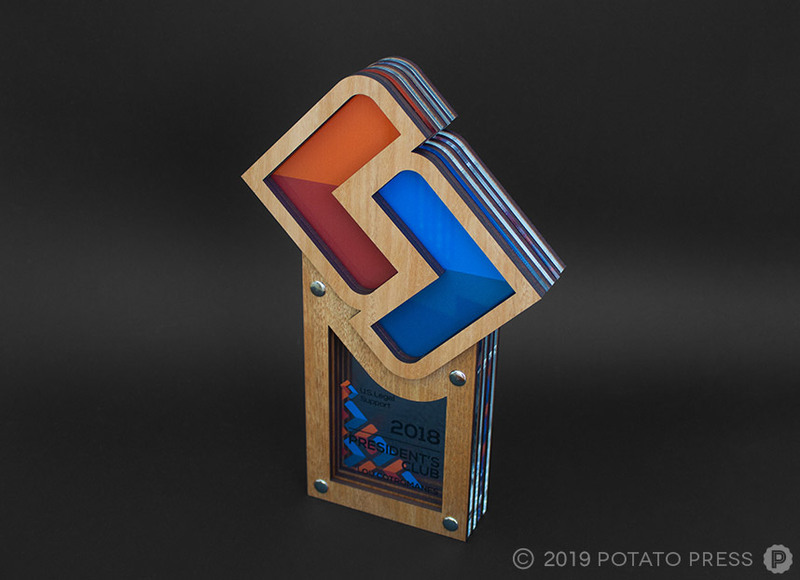 For the design of the trophy we incorporated their logo into the shape of the product, a standout feature that is very unique compared to other shapes we have made. 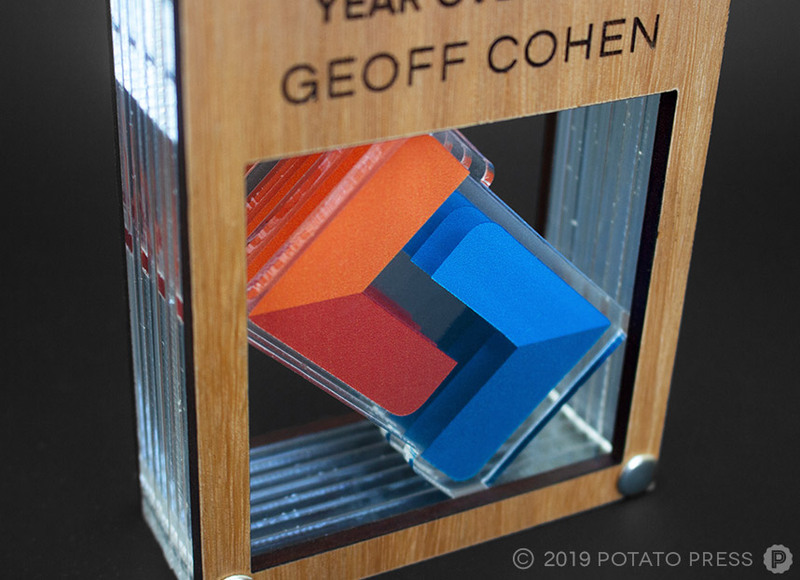 Then layering up with timber and printed acrylic the final product is a one of a kind piece! 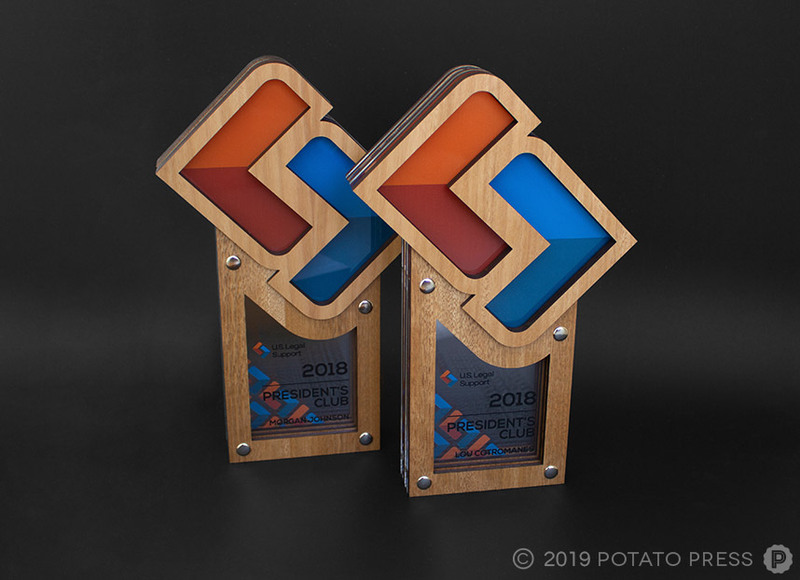 Have an upcoming event for your company that requires some awards? Contact us today to see how we can make something unique for your special night!